Crafted from specially tanned and finished European leather for a luxurious look and feel, the iPhone Xs Leather Folio fits snugly around your iPhone. Open it and your iPhone Xs wakes up. Close it and it goes to sleep. Inside there’s a soft microfiber lining for even more protection and space to hold your bills, small notes, and several cards. And you can keep it on all the time, even when you’re charging wirelessly. 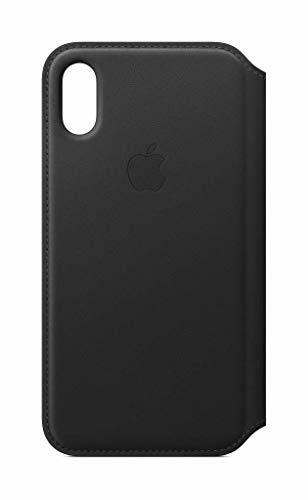 Crafted from specially tanned and finished European leather for a luxurious look and feel, the iPhone Xs Leather Folio fits snugly around your iPhone.